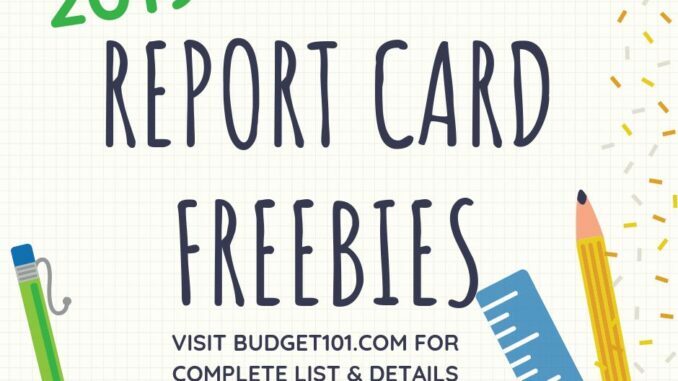 Check out this wonderful list of delicious food freebies, treats, and rewards for good report card grades offered by generous businesses throughout the USA! Please be aware that since each of these businesses is independently owned and operated you should always phone ahead to see if they are participating. “A” is for Applebees, a positive reward system that is available to teachers (who are able to set the criteria that must be met!). The criteria options include perfect attendance, recognizing students for grade achievements and awards them with a free kid’s meal from Applebees. Many financial institutions offer savings deposit deals to kids who can show good grades. Discover card offers cash back for those with a GPA of 3.0 or better. – offers a quarterly drawing for students with A’s and B’s. 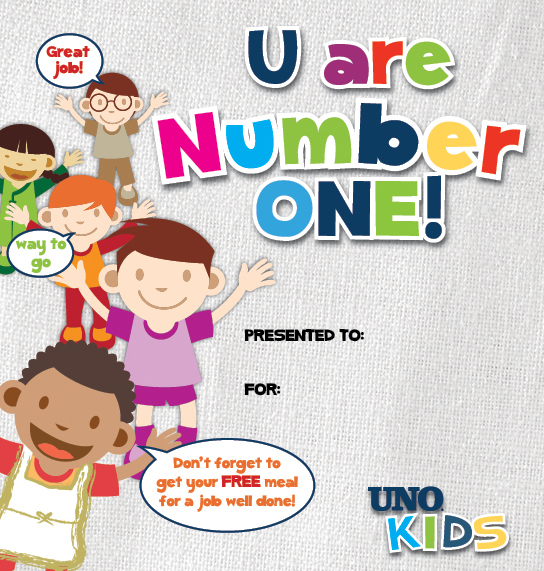 Winning report cards will receive $10 for every “A” and $5 for every “B” (or numeric equivalent) for up to five main subjects. That means your child could earn $50 for a straight-A or straight-3 report card! Also, they offer several scholarship opportunities as well. offers the Honor Dollars Bonus program. They will deposit $5 into a students account when they provide a report card with all A’s and B’s. offers a Straight A Pay-Day program where they will deposit $1 for every “A” into the child’s savings account, up to $20 per year. Offers a “Pays for A’s” program and will deposit $1.00 into a First Southern Statement Savings account for every “A” a student makes on his or her report card, up to $10 per grading period. Students should bring their report card to any First Southern branch to redeem. offers a program to the hardworking middle school, junior high and high school students ages 12-18 can earn $1 per “A” on their report cards. Eligible students are also entered for a chance to win a scholarship savings account valued up to $1,000. In the past, some Baskin-Robbins locations will give away a free scoop of ice cream via a Baskin Robbins Honor Roll Free Scoop Certificate. which is given to qualifying students by their teachers. You can check with your local Baskin Robbins to see if they are participating in this offer. Some Chick-Fil-A locations offer an Honor Roll Night or other report card deals that may include a free Chick-fil-a Kids meal. 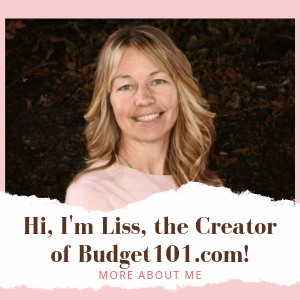 By being a full-time high school, college, or university student under 25 years old with at least a 3.0 GPA (or a “B” average, if your scale is different). At Esurance, we believe when your mind stays sharp, your driving skills tend to follow. You’re typically eligible for the discount while enrolled as a student and up to one year afterward. How much you could save: Up to 10 percent on liability, collision, and medical payments coverages. Free Ice Cream No word on whether the offer will be repeated this year, but if you have a Haute Dog and Fries location near you, it’s certainly worth following them. Jason’s Deli Kid Cash – Both teachers and parents alike can get Kid Cash to reward kids under 12 for good grades which can then be redeemed for a free kids’ meal. Reportedly, their Gadsden, AL location is offering a free meal (up to $8) to kids with A’s and B’s, you must bring the report card. Reportedly, some McDonald’s locations are offering students with Straight-A kindergarten through 5th grade can earn a free Happy Meal when they bring in their report cards. Grades 6-12 get a free Value Meal. This is not nationwide, call your local McDonalds to see if they are participating. The Melting Pot has a few locations that offer a Free Fondue Dinner for high achieving students in K-8th grade who have scored straight A’s on their report card. Two previously participating locations include Appleton, WI and Boca Raton, Fl. Be sure to phone your local location to see if they’re participating. 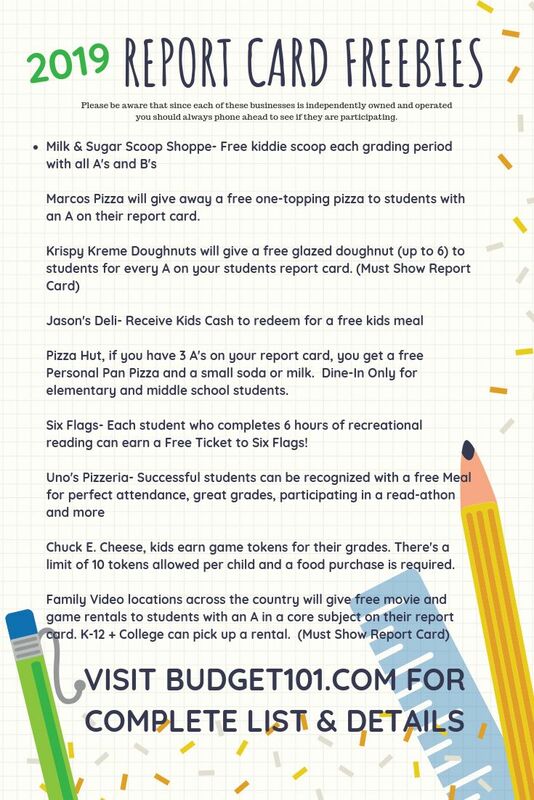 In the past, some locations offered an “A’s & B’s = Cheese”, a free 7-inch one-topping pizza for good grades, while others offer game tokens for each “A” on a report card. Be sure to phone your local location to see if they’re participating. In addition, Pizza Hut also offers the Book It Program where kids can earn a free personal pan pizza by reaching a monthly reading goal. Skate free when you bring in your Honor Roll report card from the most recent grading period. Please note, just because locations participated in the past does not mean they are automatically participating this year, please call ahead to check! If a business in your area is participating in a Report card reward, please feel free to share it in the comments below so others can enjoy it as well!